Was just starting to fly FPV and thought it looked as good as any on Ebay. It was cheap so I bought a bunch and it seemed to work fine. I wasn’t getting good range but I didn’t know better at the time so I thought that was just the way things were. Later I bought a “real” video transmitter from a reputable source and was stunned by the sudden leap in performance. I realized that what I had been flying so far was probably not up to specs and started investigating. I don’t have any calibrated measuring equipment for 5.8GHz so I decided to use the new “good” video transmitter as the baseline for good performance. 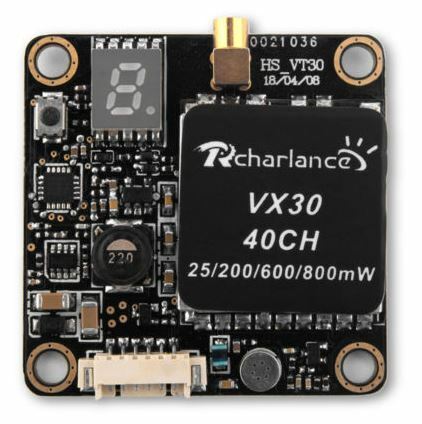 I first connected the “good” VTX1 video transmitter to a power detector via. a 6dB pad and a step atennuator and then recorded the detector voltage against attenuation. 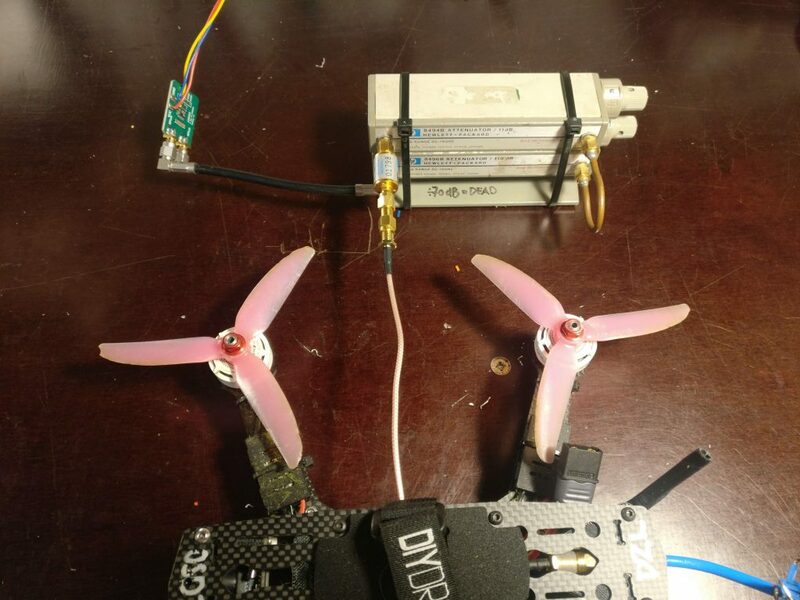 I then did the same with the “bad” VTX2 transmitter. 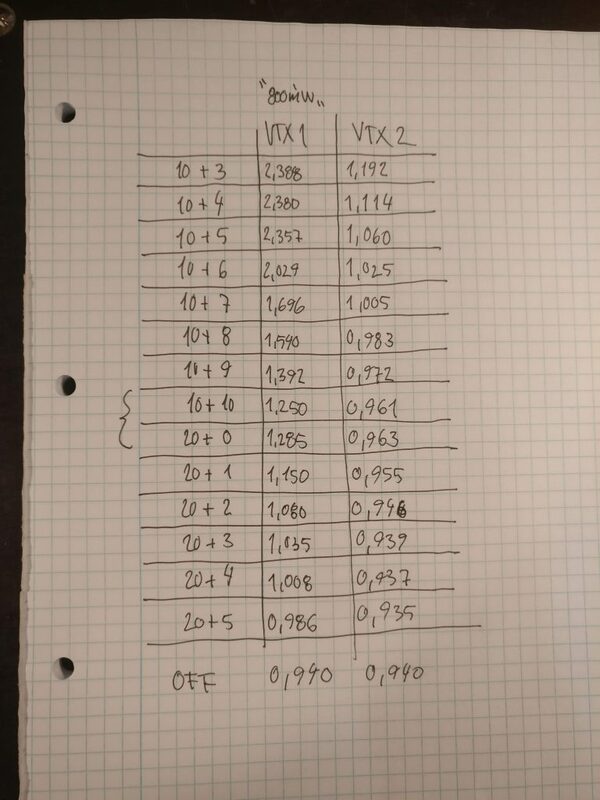 Long story short if the “VTX1” outputs 800mW then “VTX2” outputs around 125mW. It seems like I have bought 125mW transmitters for 800mW .. BOMMER! .. but even for Ebay that is a really big lie, so perhaps there is some explanation. I noticed that when changing channels there were big spikes in the power ouptut. 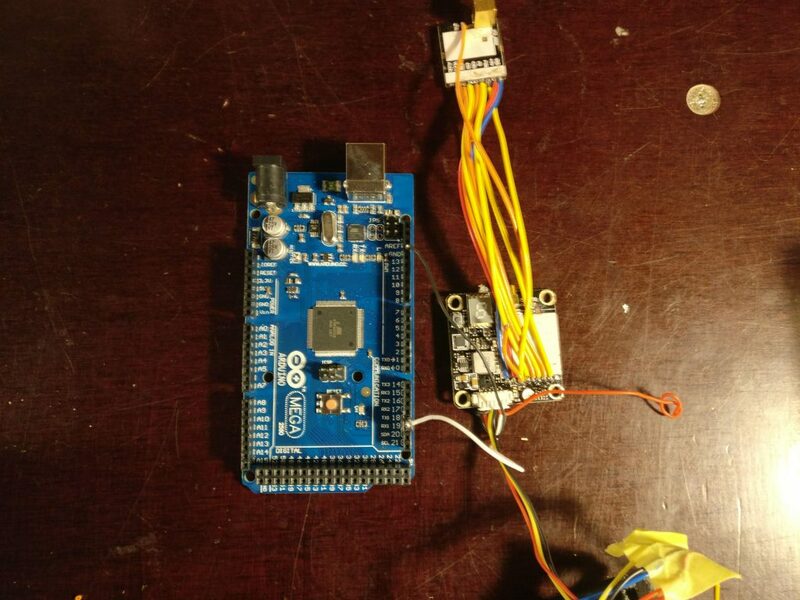 Perhaps the hardware is capable of outputting the specified power but some firmware error is causing the problem. Specially the one called ‘PWR’ caught my attention. 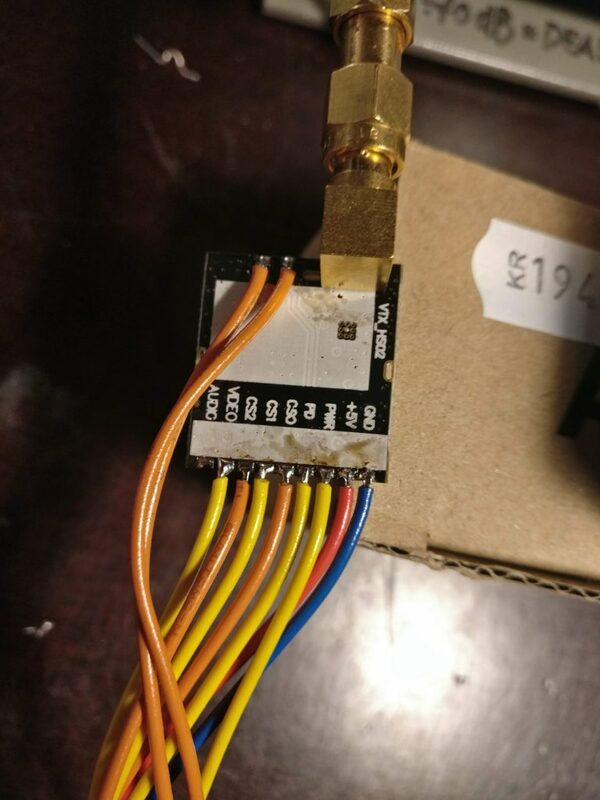 A quick continuity test confirmed that this pin is directly connected to the BIAS of the PA amplifier inside the module (Note: amplifier BIAS is a combination of power supply and amplification control for RF amplifiers. It can be either a voltage or current depending on the amplifier type. Here it is current). And stimulated the ‘PWR’ pin via. a 220 Ohm resistor from a separate power supply adjusting the voltage for maximum power output. I then adjusted the attenuator to give the same reading as VTX1 finding the signal to be similar. So in conclusion: The module will propably deliver 800mW if biased correctly! 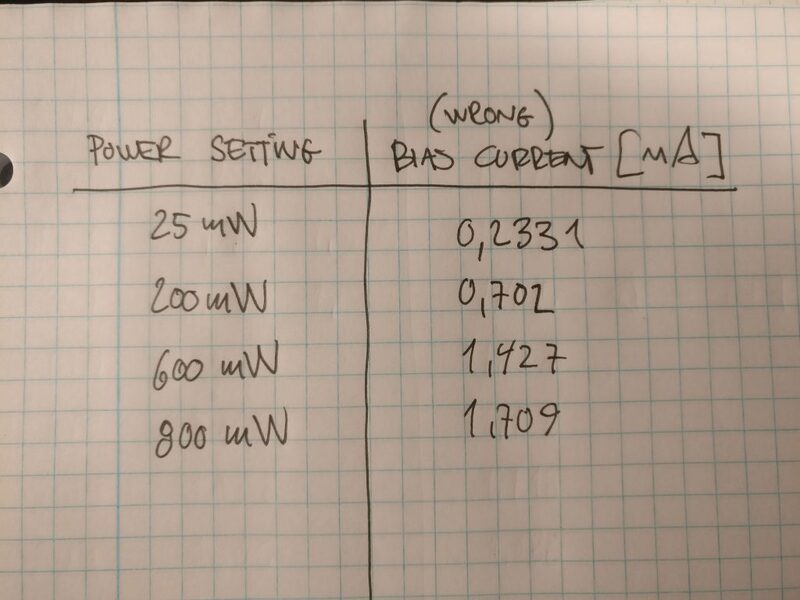 When I supplying an external BIAS I observed the maximum output from the module when the power supply current (@the 12V sypply) was around 170mA. 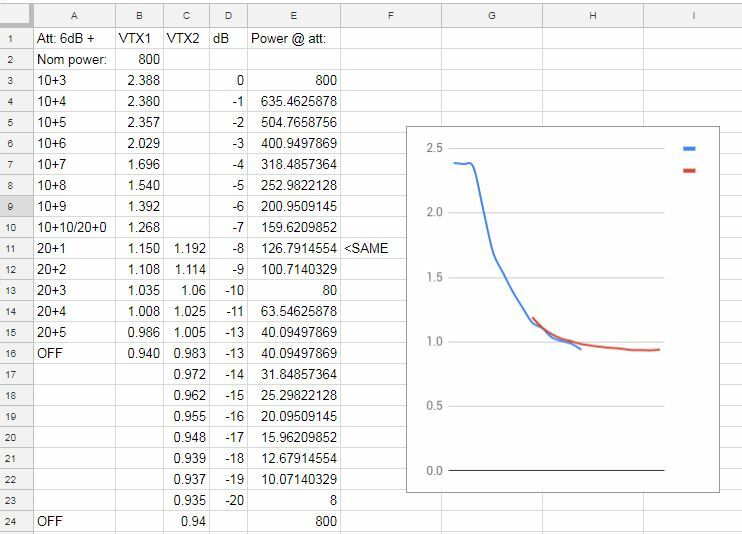 When using the bias from the carrier I observed almost 250mA current draw. This suggested that the output amplifier had been over biased (if you keep cranking up a RF power amplifier it will eventually start amplifying less). I noted that in the specification for TBS smartaudio there was a parameter that allowed you to directly control the D/A converter generating this BIAS voltage. During my programming attempts I failed to properly send these values and stopped because I didn’t think it was important. Now it seemed useful to try and manipulate the ADC in software. At the time of writing I have not been able to change the Bias via. SmartAudio. It may be possible but I haven’t made any serious attempts. For now I may just add a (value not determined yet) resistor between PWR and GND to bleed off some of the (potential) excess bias current and at least save some power supply current. 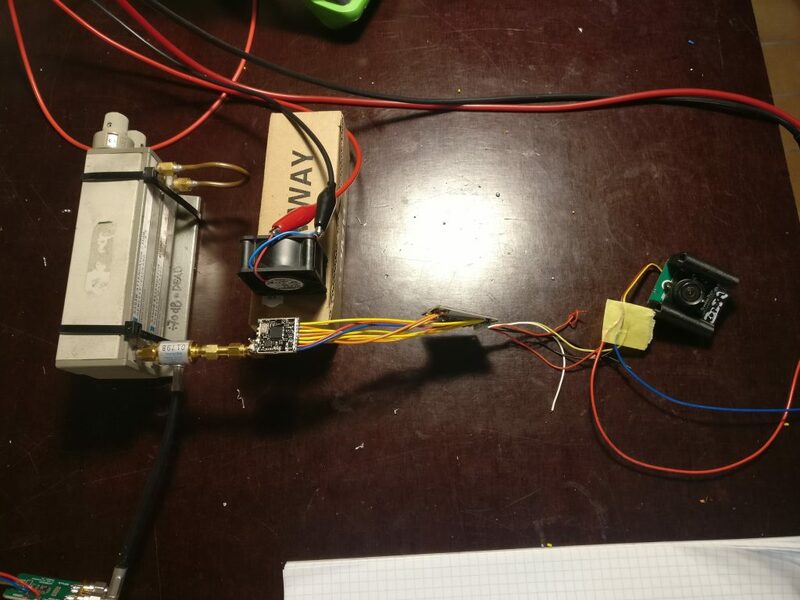 Prev Programmable DC load for testing batteries and stuff..